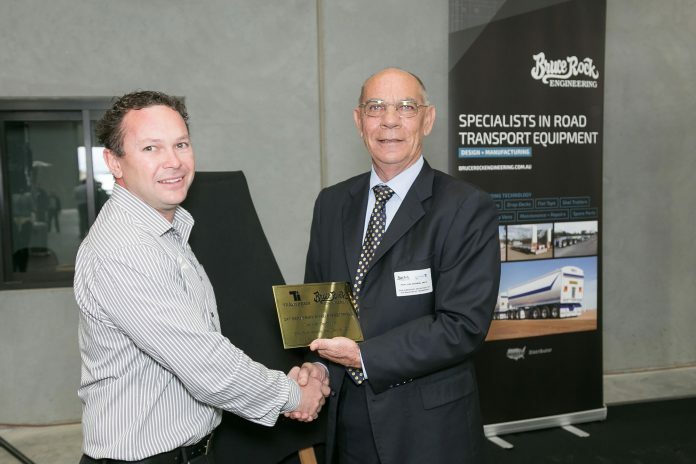 Leading heavy road transport equipment manufacturer Bruce Rock Engineering (BRE) has officially opened its Perth metropolitan workshop facility in Forrestfield. Bruce Rock Engineering opens new manufacturing facility in Perth’s transport hub. According to the company, all design, manufacture and construction of its manufacturing equipment is being carried out at the new purpose-built facility, which is one hectare in size and covers 27,000 square metres including 350 square metres of administration offices. During the opening of the new plant, the company also showcased the BRE Super-Quad, a 60 metre road train tipped to deliver much needed cost efficiencies to the mining sector whilst reducing heavy vehicle road traffic and the impact on road infrastructure in the State. BRE’s Managing Director, Mr Damion Verhoogt said the fabrication of the chassis of the Super-Quad was completed in the new facility, whilst its body, blasting, painting and assembly was completed in Bruce Rock. “Today’s launch is a significant milestone for the business cumulating the organisation’s recent expansion into the east coast to extend the company’s capacity to deliver transport equipment to Queensland, New South Wales, Victoria, South Australia and Tasmania,” Mr Verhoogt said. Mr Verhoogt also announced the BRE’s merger with welding and fabrication specialists Transbeam Industries, saying it will increase the company’s manufacturing capacity by close to 50%. “The Transbeam partnership brings with it considerable benefits to the operation, most notably the new plasma profile cutting machine which is the biggest and most advanced of its kind in Western Australia,” Mr Verhoogt added.